The girls and I love seafood. Of course we're all mad for sushi, but cooked fish dishes are also a firm favourite in this household. 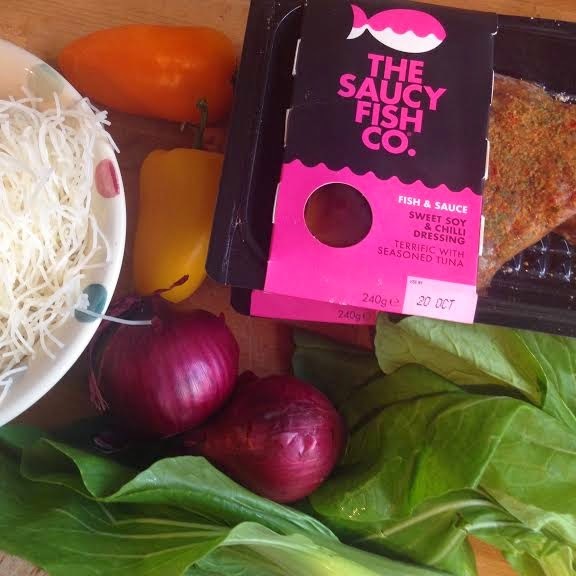 I think of it as fast food as, even when you're cooking from scratch, its super simple and quick to whip up a nice, healthy supper whenever fish is concerned. 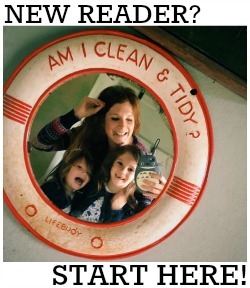 It's perfect for post-school dinners when you're running late but fancy something a bit tastier than beans on toast! 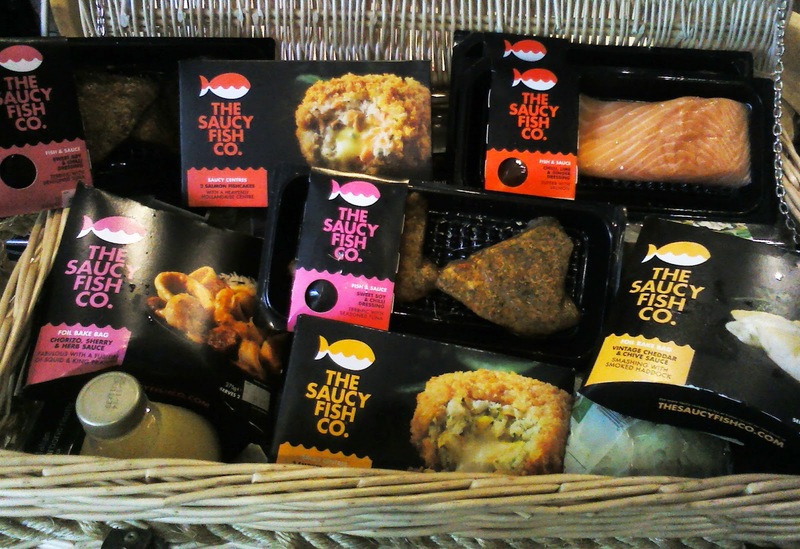 Last month we were sent the most amazing hamper of goodies from The Saucy Fish Co, a brand that I am already a huge fan of. It was to help them celebrate officially being named a CoolBrand for the second year running. The CoolBrands® list, which is now in its thirteenth year, follows a vote by a combination of 2,000 consumers and a panel of 37 designers, style experts, media personalities and prominent figures from the worlds of TV, fashion and music - so it's a pretty impressive and prestigious list to be a part of! Our hamper was packed full of Saucy goodies, together with lots of sides to get creative with - and even a bottle of prosecco which was a rather nice treat! 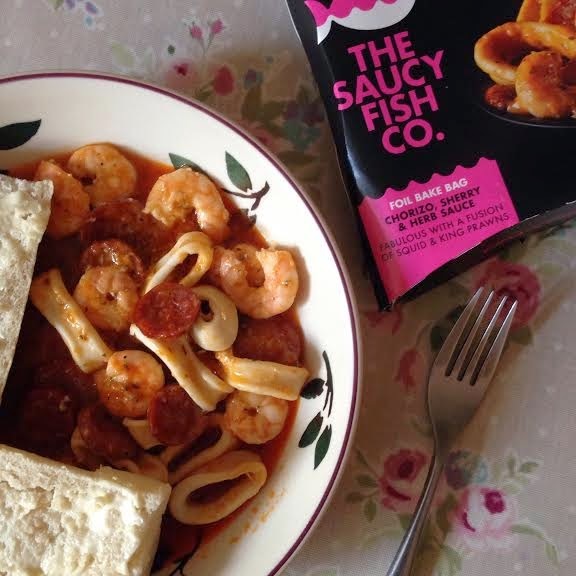 Squid, King Prawn and Chorizo with a Sherry and Herb Sauce. The product comes neatly encased in a reflective bag and all you have to do is oven-bake for 11 minutes at 180°C until the sherry butter infuses into the freshly baked seafood, then serve with fresh bread, smothered with butter! This is such a nice hearty lunch during chilly weather and makes a change from the usual soup! Tuna with sweet soy and chilli dressing. I've never really contemplated putting fish into a stir fry before (with the exception of king prawns) but this made the speediest and tastiest meal ever! I stir fried the usual veg and the tuna together before adding noodles, and used the Saucy sauce, plus a little extra soy from my store cupboard. 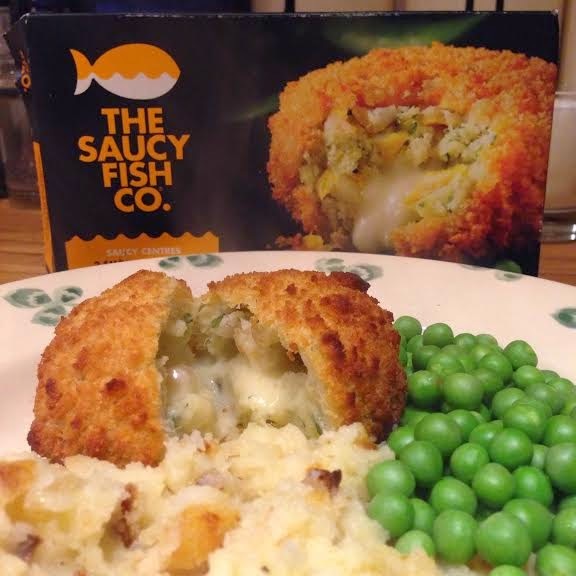 Some days are so brrrrrrr-some, nothing will fill the hole except huge great big smoked haddock and vintage cheddar fishcakes, served with mashed baked potato (have I invented this? No one I know seems to have heard of it!) and garden peas. Such simple comfort food. Yum.